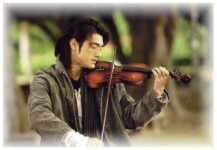 Takeshi gracefully plays the violin in the movie. 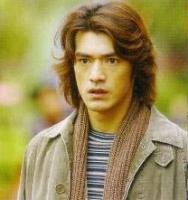 A rather confusing stage of Takeshi in the movie. 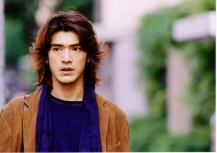 I'm polish and I was really surprised to hear Takeshi Kaneshiro speaking polish when he said part of poem by Wislawa Szymborska in my native language.Good job.